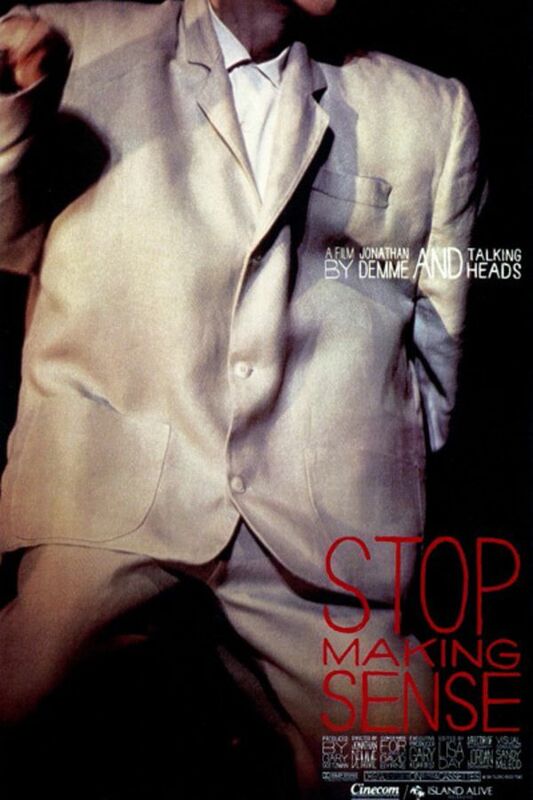 STOP MAKING SENSE was the first feature-length documentary effort of filmmaker Jonathan Demme. The director's subject is The Talking Heads, a new-wave/pop-rock group fronted by the legendary David Byrne. The film was shot over a three-day concert gig at the Pantages Theater in Hollywood. The result of which is widely considered the greatest concert film ever made. Masterpiece. I watched this when it was released​ in the 80's and have watched it several times since. It never fails to deliver the best of The (great) Talking Heads and Jonathan Demme's groundbreaking vision. I was always a casual Talking Heads fan and this may have made me a fanatic. David Byrne is just a ball of energetic genius on stage and it is captured very well in this doc. Byrne arguably may be the most underrated stage performer in music history. If you are a Talking Heads fan of any kind, this is worth a watch. david byrne comes from the realm up above the earth where satan sits on a white throne. i remember him. and he knows eternity very well. they're a good band, got good music. even though they're satan's angels, just like tori amos.